What does a former forensic scientist do when she stops dismantling meth labs to raise her four children and take care of her family? 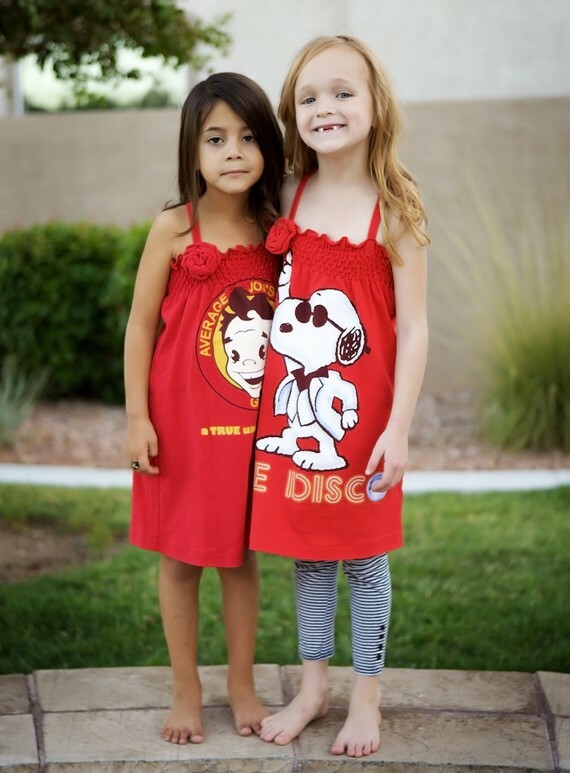 She starts dismantling T-shirts to create adorable dresses for little girls! Carrie’s friend Natalie was with her in the beginning of Glad Heart and helped in the development of their signature style. While Natalie has since moved away, their shared approach to design remains. To stick with the basics and to make pieces that are soft, comfortable, practical, and sized with flexibility and longevity in mind. We think these sweet comfortable dresses do just that. Carrie starts her creative process by treasure hunting for T-shirts from second hand obscurity. She turns those forgotten T-shirts sitting in a crowded thrift store into fabulous newly discovered gems. Initially, she was drawn to the idea that there is a T-shirt for everything and that everyone is a fan of something. There is not a realm of pop culture or life experience that has not been plastered across the front of a T-shirt and people want to wear the images and symbols of the things they love. 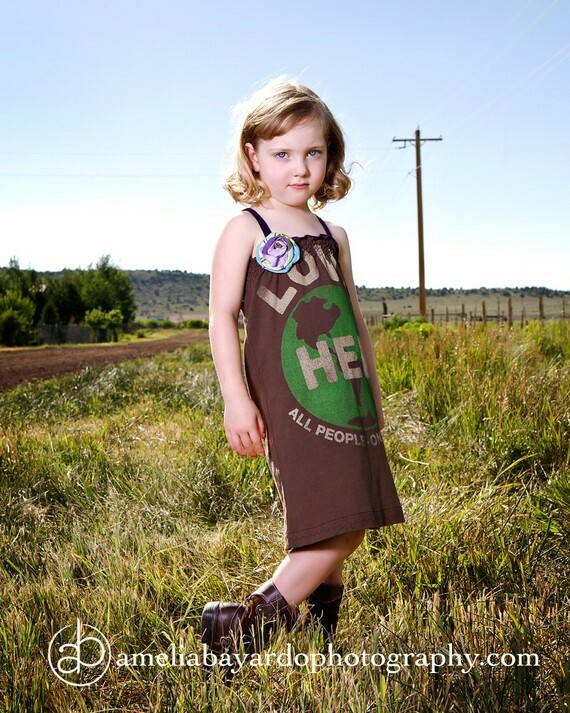 Now many shirts and dresses later, she is able to see the benefits of reusing and upcycling materials. 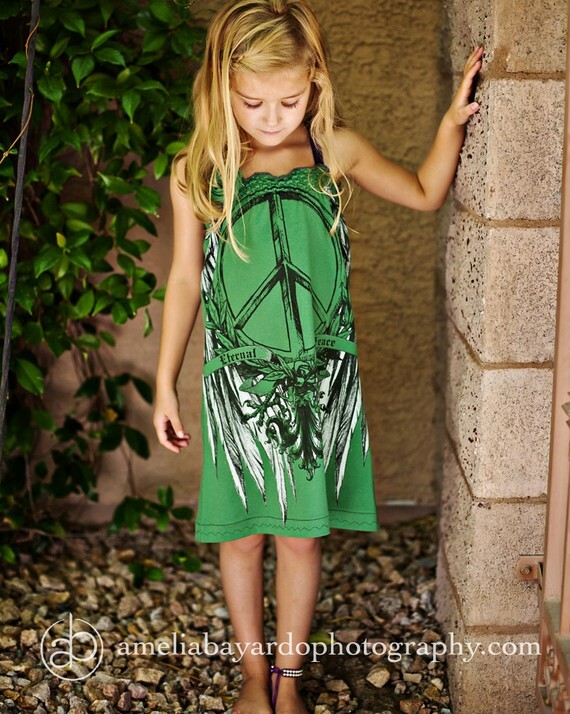 Not only does it benefit the environment, it is also a way for her to decrease her costs and make the handmade dresses available to her customers at a very reasonable price. Carrie sells her Glad Heart collection at her Etsy shop Brava Boutique. Her dresses fit sizes 2T-6. 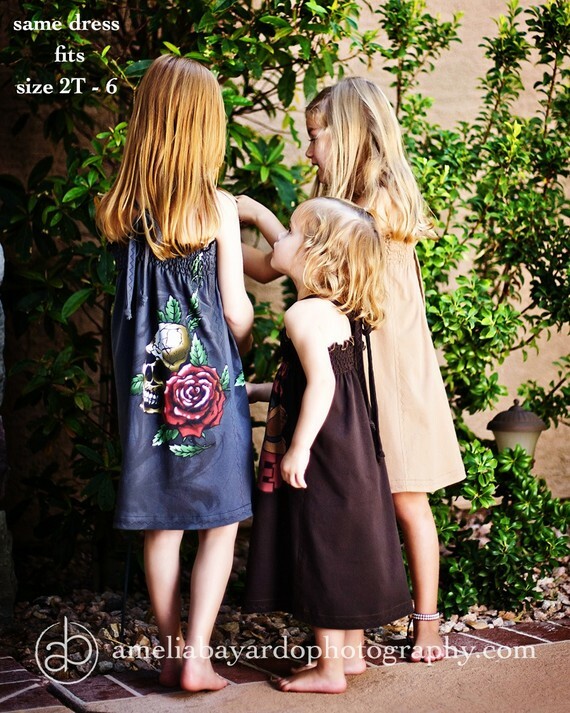 She has a great collection of already made dresses there but you can also send her one of your favorite T-shirts and she will make it into a dress for you. 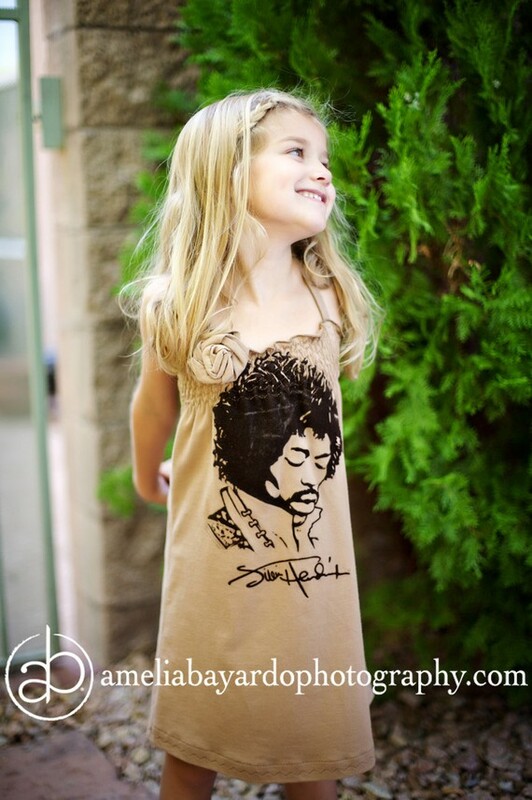 Now Dad’s old concert T-shirt can be reborn as your daughter’s dress. We think that is pretty cool. Great work Carrie! If I had a little girl I would order one with one of my old tshirts! This is an online magazine only. You are welcome to use any project ideas that you see her. Click on “cool projects” tab and the top of our homepage.